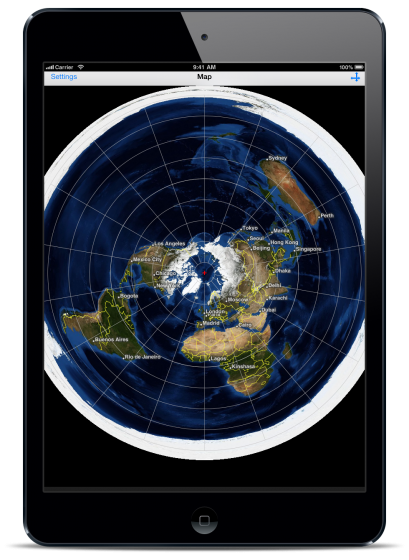 An iPhone/iPad application that displays satellite images of whole earth in Azimuthal Equidistant projection centering on arbitrary points. 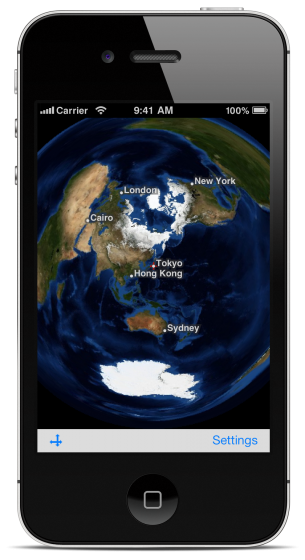 An experiment of projection of the raster tiles using WebGL. 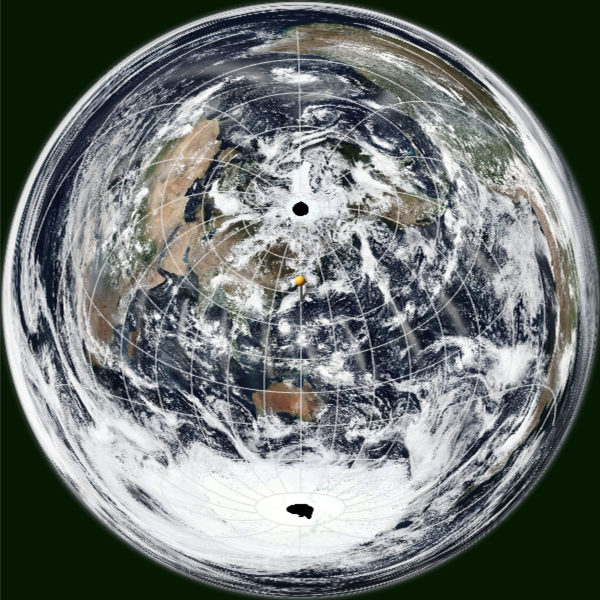 Revolving maps around the center of projection are possible.New! Specifying the center of projection by URL parameters is possible. 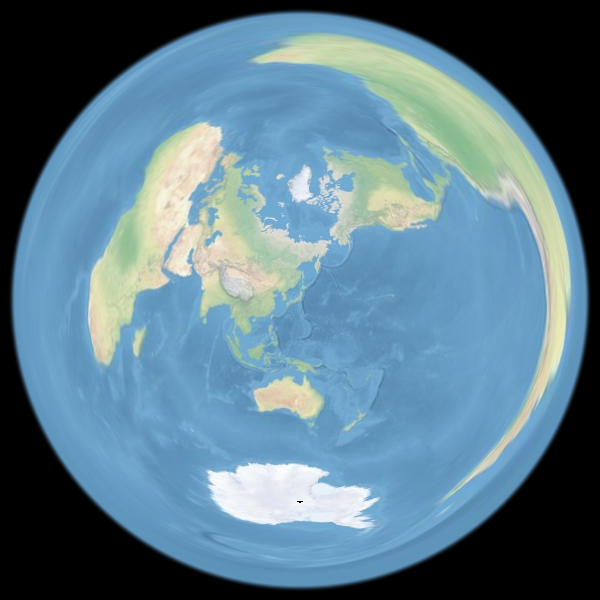 VIIRS Corrected Reflectance (True Color) »New!